Rachel Watson hovers just above rock bottom. 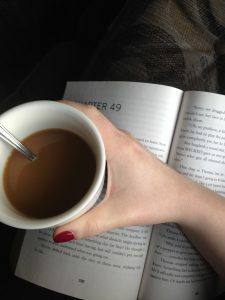 Wallowing in her divorce and drowning in her alcoholism, Rachel’s only comfort lies in her daily observations of Jason and Jess, the happily married couple who live a few doors down from the home in which Rachel herself once enjoyed marital bliss. From her seat on the train to London that passes by, and stops just across from the home of the envied couple, Rachel jealously observes them living the life she craves and could have had. Rachel is quickly wrapped — though mostly through her own meddling — in the mystery disappearance and can’t shake the feeling of being more involved than she knows. Or remembers. As the case carries on, bobbing in and out of public interest, Rachel continues to struggle to recover memories lost from the night of Jess’s disappearance. Little does she know that she may not feel comfortable with the answers. 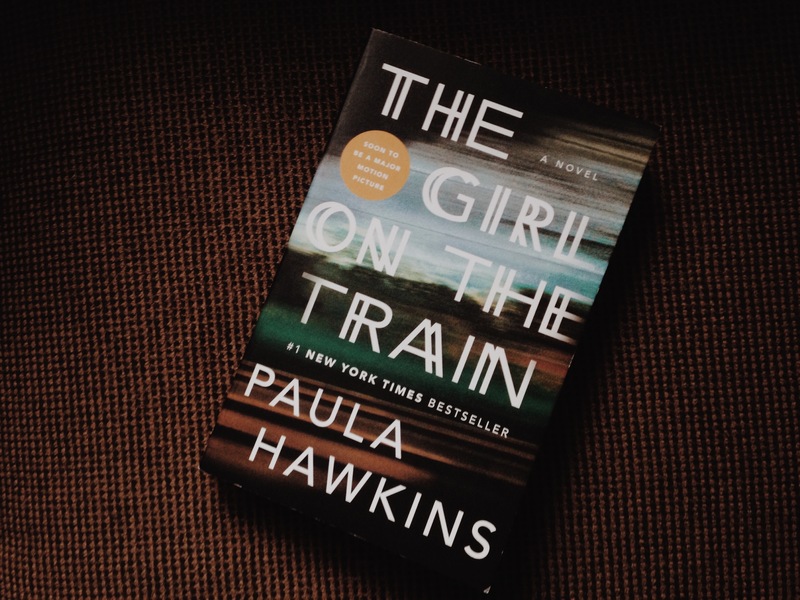 Paula Hawkins approaches the narration of this mystery-thriller in one of my favorite writing styles: the first-hand account. Switching between the perspectives of Rachel, Megan (Jess), and eventually Anna (Rachel’s ex’s new wife), the series of events leading up to and immediately following Jess’s disappearance are woven into a tapestry of secrets, lies, love, betrayals, and the consequences of selfishness, and loneliness. Enriched with character development reminiscent of Agatha Christie’s Mouse Trap, the reader is quickly sucked into the story, and the lives effected by a tragedy real enough to be found on the front page of your local newspaper. Overall Rating: 5/5, I will definitely read this again (preferably while sitting on a train). One of the very best I have checked out. It was captivating to the very end. Super! I likewise advise to read http://bit.ly/2NUmeS2 Jessica Elliot . Thanks P.S: I like your blog.